Release the parking brake lever fully. 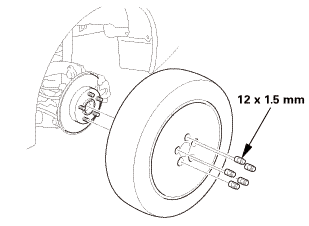 Loosen the adjusting nut (A). 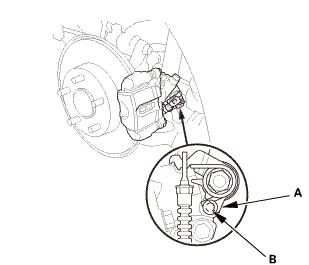 Make sure the lever (A) on the rear brake caliper contacts the stop pin (B). 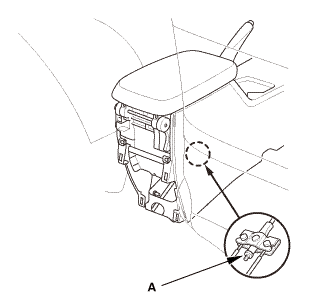 NOTE: The lever will only contact the stop pin when the parking brake adjusting nut is loosened. Pull the parking brake lever 1 click. 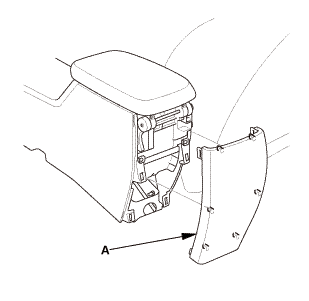 Tighten the parking brake adjusting nut until the parking brakes drag slightly when the rear wheels are turned. 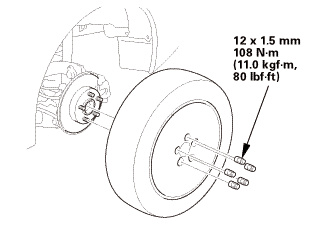 Check that the parking brakes do not drag when the rear wheels are turned. Make sure the parking brake lever is within the specified number of clicks (Except Si: 8 to 10 clicks, Si: 8 to 9 clicks).